Swedish black metal is some of the most favorable in the underground, rarely does one find a band that won't appease their longing for the blast beats and frenzied high treble guitar work that's become a staple of the dietary plan. 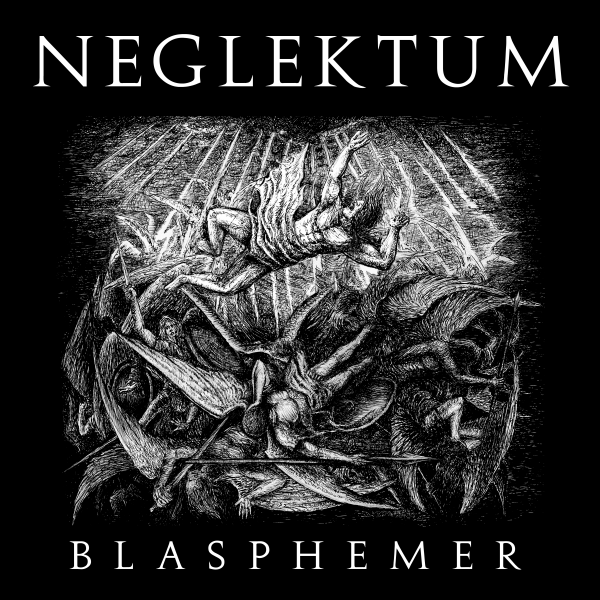 Such is with Neglektum, who've released their first full-length album Blasphemer. Prior, the duo released a demo, Beyond the Frozen Mist, in 2009; a year after being founded. So, what slab of bloody black metal have these two brought to the sacrificial alter? With such large volumes of stagnant water surrounding the murky area of black metal, it's not an overly difficult genre to stand out in at this point. The thing is though, that too many bands continue to emulate the origins of this vast genre that still has room for much exploration, unlike where we currently stand with thrash and death metal. 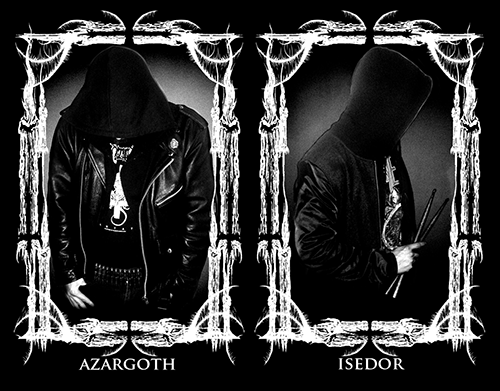 While you have your old school black metal revival bands, there are also the newcomers who're proving successful in creating new grounds in uncharted territory; sadly Neglektum haven't exactly crossed over into the latter area, but are extremely close. The main course of the material has a large helping of tremolo picking and blast beats; the standard meat and potatoes of black metal with all the same seasoning as well, such as the high treble tone of the guitar and the small standard kit of the drums. Rarely are there any appetizers to savor between these dishes, save the entirely acoustic interlude track "Salvation" and the unexpected piano based 'Dies Irae Pt. 1". The tremolo picking bits are fairly enjoyable despite their orthodoxy, and there are open strummed power chords lingering around the material as well, such as in "Begotten Son (Forgotten)" which also has slow tribal style drumming. The drummer often sounds as though he struggles to keep up with the pace of the faster structures, often falling out of rhythm and not making a smooth hit transition between the snare and hi-hat; with the high mix on the snare this flaw is pointed out repetitively as well. The vocals are another feature that are regular for the material in question, as they are high pitched rasps that refuse to deviate at all during the content. While all of these are tried and true methods of execution there are tracks with some more homegrown melodic riffs, as in the eight minute epic title track "Blasphemer". A true blue black metal album with all standard components found; high treble guitar, check, small drums doing blast beats, check, shriek vocals, check, tremolo picking, check,. It's all here, with some minor variances and some slightly more enjoyable song compositions here and there. There's no dire rush to grab this release and listen to it, but if you happen to stumble upon it give it a shot. Another good point here is that this isn't your run of the mill "lets make it sound like it's been buried in the earth for twenty years" album either, the production is good though not equipped with high clarity by any means, and other than the snare being a little up there the mixing is right on the money.